Regional metamorphic rocks are the rocks with the typical schisty look. They have layers that easily break off. 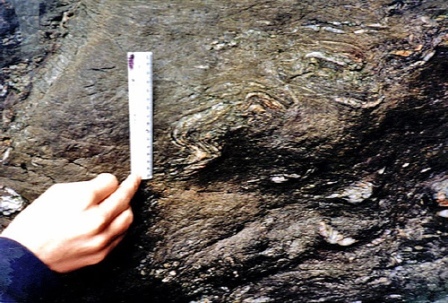 As opposed to contact metamorphic rocks, the regional ones have been formed by both pressures and temperatures. They form the slate - phyllite - schist - gneiss series. (Note that this is not the only way these rocks form - it's only an example). 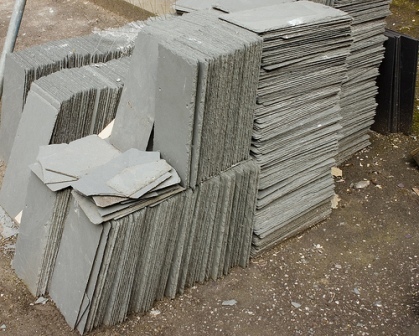 Slate is the low-grade rock in the beginning of the series, which is formed from sedimentary rocks such as shale and sandstone, when they are pushed down where temperatures and pressures increase. In the process, clay minerals turn into chlorite. Other minerals found in slate are andalusite, cordierite, mica, quartz and others. Like the other rocks in the series, slate has good cleavage. Phyllite may form from slate when the rock is pushed further down and the pressures and temperatures increase. Chlorite is still a common mineral, but quartz, feldspars and white mica such as muscovite are on increase. Phyllite is foliated and often has small scale folding. Schist may form from phyllite when pressures and temperatures increase even more. 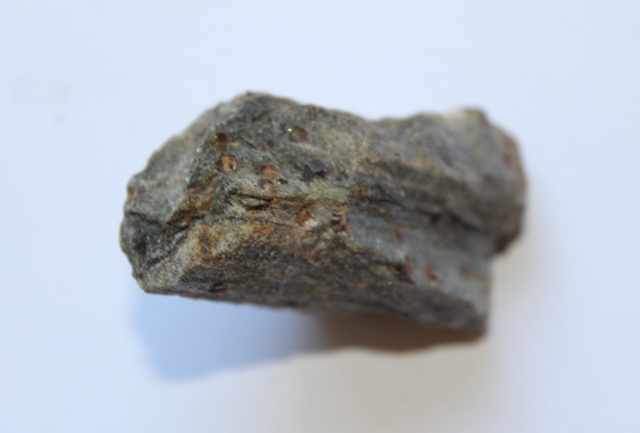 There are different schists such as garnet, biotite, muscovite, kyanite schist and more. Most have flaky minerals, glittery appearance, and of course, the "schisty" texture with layers that break off easily. Garnet schist is a classic with beautiful dark red garnet minerals. Gneiss may form from schist when temperatures and pressures increase even more. Garnet is commonly on decrease while other metamorphic minerals such as sillimanite and metamorphic K-feldspar may be on increase. Other minerals include quartz, micas, hornblende, pyroxene and others. 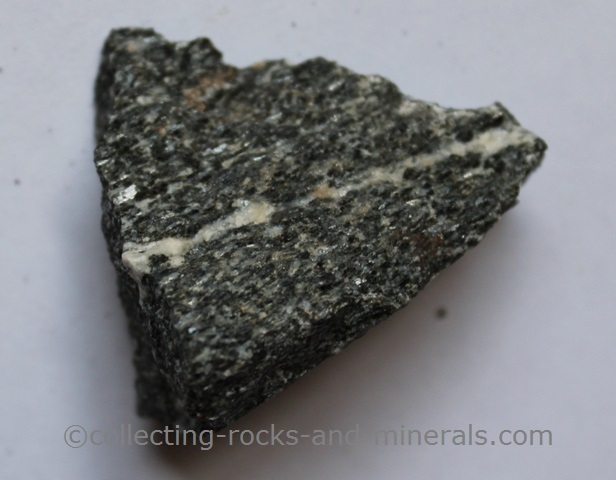 Gneiss is known for its compositional banding with alterating dark and light layers, formed by high grade regional metamorphism in very high pressures and temperatures.